Taking a trip to Medieval Times has been on my bucket list for quite some time. 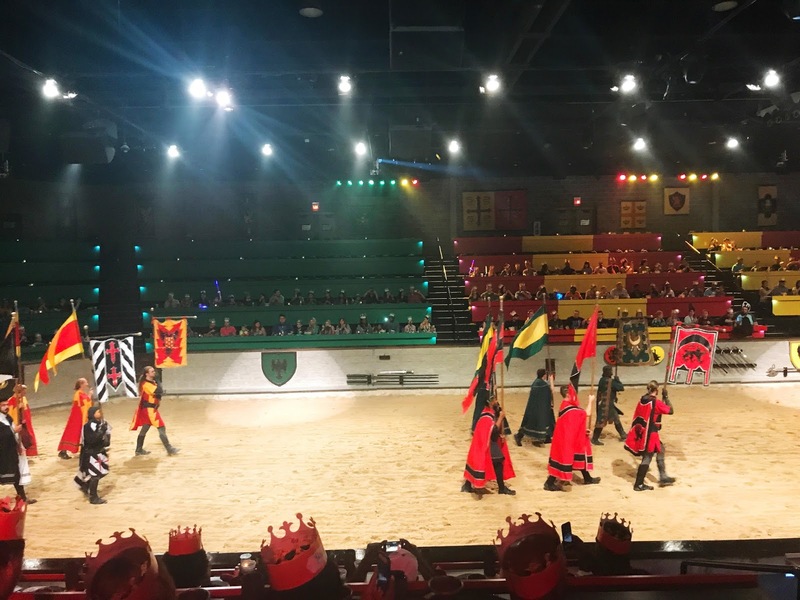 Knights, jousting, what's not to enjoy? 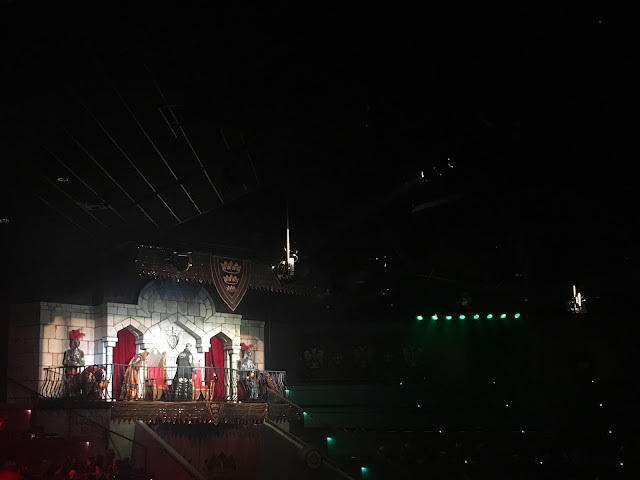 Honestly, when I imagined Medieval Times, I always imagined the scene in The Cable Guy where Jim Carrey places ham on his face and quotes Silence of the Lambs. And I guess it was a little like that, but not nearly as exciting. Tickets run about $50 per person and include a two-hour(ish) show and dinner. If you're interested in going, I recommend signing up for the emails so you can get some major discounts and free entry on your birthday (with full-price ticket purchase). We went for Andre's birthday, so he got in free. His mom came along, and we were able to use a coupon for her, as well, so we only actually paid for one full-price ticket - that made it less than $100 for dinner and a show for three adults. Dinner comprised of a drink (Pepsi/Diet Pepsi, Sweet/Unsweet Tea, or water) and started with garlic toast and tomato bisque - which actually tasted like Campbell's canned soup and frozen toast. The main course was half a chicken, corn on the cob, and half a baked potato. For dessert, coffee and lemon cake. The kicker? You literally eat everything with your hands, chicken included. Honestly, all the food tasted like a subpar home-cooked meal. Not to mention, the servers stay in character the entire time - calling us Lord and Lady. They even took part in the show down on the floor! I wanted to like the show. I did! There was a story-line I couldn't follow, which included a king and his daughter, several knights from different realms, and a bad guy that I'm not really sure where he came from, but I think he wanted to win the princess's hand. Anyways, there were some weird medieval games - like spearing small ribboned hoops, and jousting, of course. 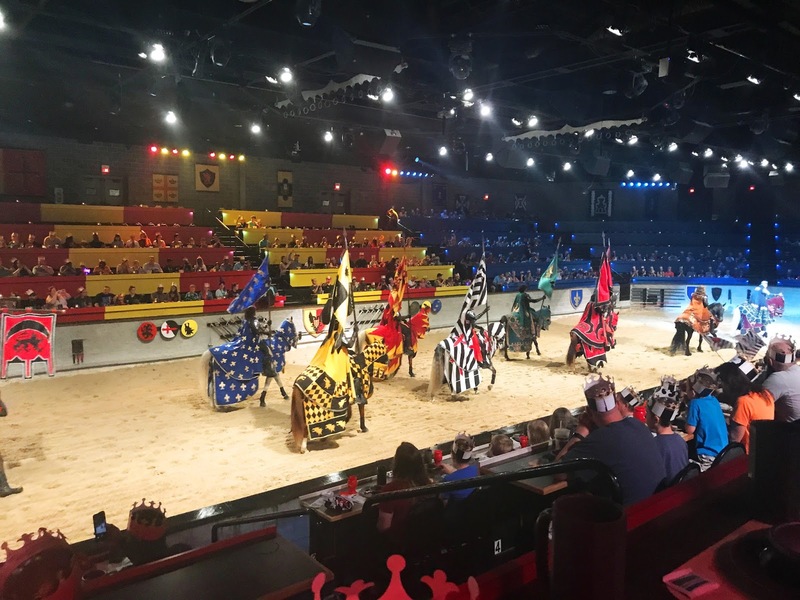 Some of the horse tricks truly made me feel uncomfortable - there were horses prancing around on their back hooves, and one was literally foaming at the mouth. I feel like I was partaking in watching animal abuse, and that really turned me away from the rest of the experience. Plus, the entire room did kind of smell like horse poop - and there was a guy with a cooler and giant pooper-scooper, literally scooping poop from the floor. 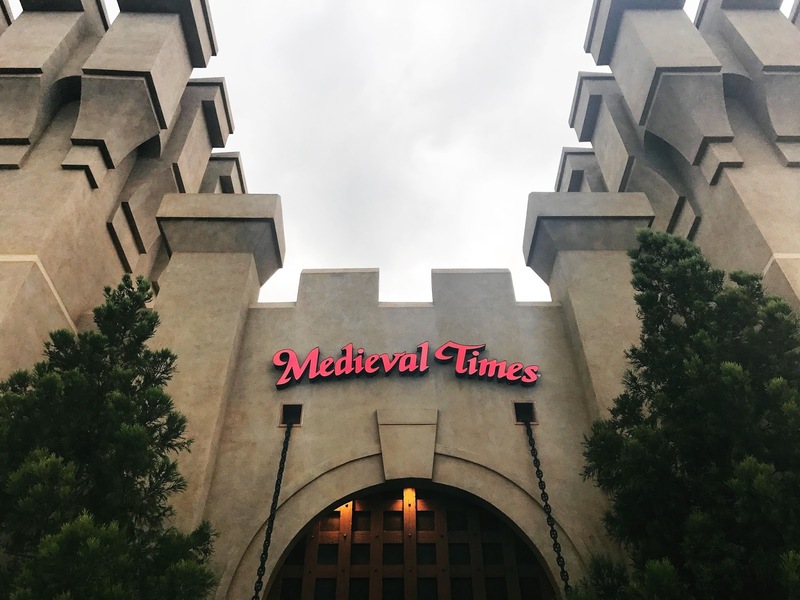 Medieval Times is definitely not something I would be interested in doing again. I'll take the Renaissance Festival any day of the week. 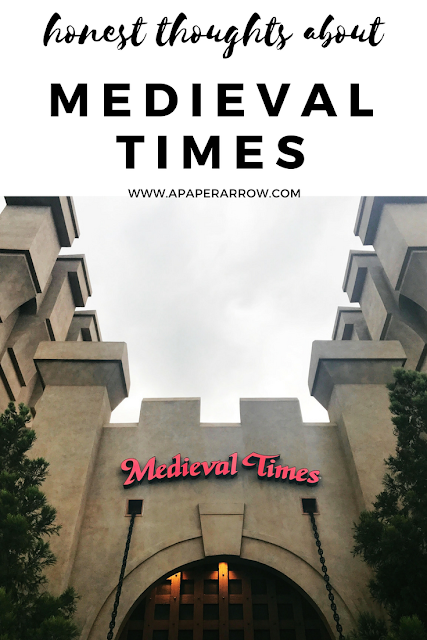 Have you ever experience Medieval Times? What were your thoughts? Is it something you'd like to do again? I went on our 8th grade trip to Canada and remembered it was fun but a kind of odd experience. I wasn't a fan of the eating only with hands haha and yes I remember the food not being too great. I enjoyed the show, but again- I was in 8th grade so my thoughts now could change. Seems expensive though! I think I maybe would've liked it more if I was younger and less concerned about things in the world. I see things in a different light than I used to. And I agree on the expensive!